The optional automatic transaxle is electronically controlled. All normal forward driving is done with the shift lever in the D (Drive) position. 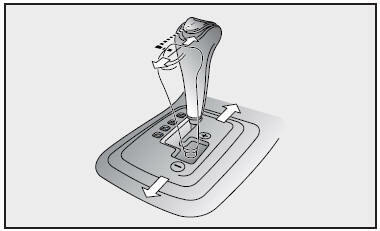 To move the shift lever from the P (Park) position, the ignition switch must be in the ON position, the brake pedal must be depressed and the lock release button must be depressed.